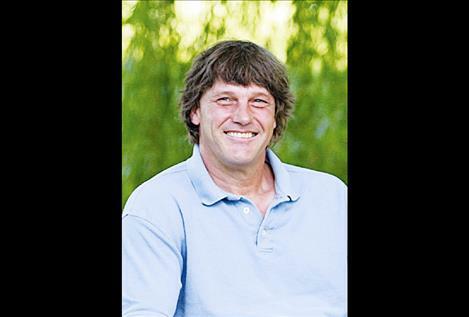 MISSOULA — Jim Lavar Lake, 56, passed away peacefully, surrounded by family, on Jan. 20, 2019, at St. Patrick Hospital in Missoula. Jim was born Sept. 19,1962, to Roy and Evelyn Lake in Ronan. Jim grew up on the family farm, he was active in the farm operations, 4-H, and school sports. Jim received ‘All State’ and ‘All Conference’ awards in football, he also enjoyed swimming, snow skiing, backpacking and riding his motorbike. During Jim’s senior year of high school, near his 17th birthday, he was in a motorcycle accident, which tragically left him a paraplegic. He moved to Cashmere, Washington, for physical therapy, accompanied by his grandmother, Agnes Lake, and his brother, Jack Lake. They worked as a team and moved home in time for Jim to graduate from high school, with the group of close friends he grew up with. Jim had hilarious wit, was fun loving, and was adored by all who knew him. He was generous, kind hearted, and prided himself on being independent. After graduation, Jim lived in Coeur d’Alene, Idaho, and Grand Coulee, Washington. He co-owned a racehorse with his sister, Tammy, and enjoyed racing on the Washington and Canadian circuits. He moved to Missoula and worked at the US Post Office for 16 years. During that time, he fed his “need for speed” by snowmobiling, and in the off-season, raced the machines in grass drags. He won several awards, including “Rookie of the Year” and was nicknamed “Rocket Man,” inspired from a newspaper article on him. He had a fantastic group of friends that he enjoyed his sport with. After Jim lost several friends in an avalanche, he hung up his helmet. When health issues forced Jim to quit his job, he moved back to Ronan, and filled the position of “dispatch” and “motorcycle mechanic,” on the Metzger Ranch. They enjoyed 10 years together, and then Jim moved back to the Lake farm. He spent time on his side-by-side touring the back roads and fishing the rivers. Jim remained resilient through a lifetime of adversity. Jim is survived by his parents, Roy and Evelyn Lake; Jack (Susan) and kids: Katie, Charla, Jamie, and Kelly; Tammy (Lonnie) Metzger and kids: Dee Dee, Cody, Trent, Ryan and Amber; Loretta (Gary) Glaze and kids: Desirae and Byron; Marlene (Dan) Roullier and kids: Colton and Brennan; Rhonda (Bruce) White; and several great-nieces and nephews as well as aunts, uncles and cousins. Services were held on Saturday, Jan. 26. Messages of condolences maybe shared with the family online at: www. thelakefuneralhomeandcrematory.com. Arrangements are under the care of The Lake Funeral Home and Crematory.